Writing about love addiction has opened my eyes to a lot of things. Things I didn’t totally understand before. One thing I’ve learned is just how powerful this addiction is and how it reaches deep into our very heart or hearts. Read on with me and you will see what I mean. 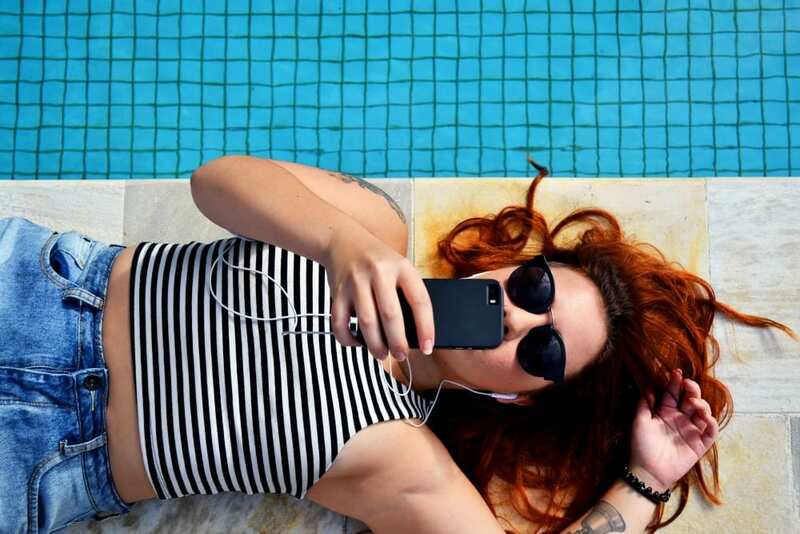 If you are a love addict, you obsessively and compulsively try to relieve or medicate the deep pain in your life through romantic relationships. Once in a relationship, you feel you can’t live without the other person and you will do whatever you have to do to keep the relationship going. If that doesn’t work, you panic and will do whatever you have to do to get into a new relationship. If you are a love addict, don’t despair. I’m convinced at least 50% of all teenagers and young adults suffer from this addiction. I say this because one characteristic of every love addict is that he or she has suffered from being abandoned as a child. This abandonment is almost always caused by one parent, and in some cases both physically or emotionally abandoning their child. Over 50% of all marriages end in divorce, not to mention all the live-together break-ups. No child can go through seeing their parents break up without it affecting them in some way. Being abandoned or left behind, especially as a child, is traumatic. In fact, it is one of the worst things to happen to a child. Let’s take Sarah’s story to help prove the point: [My dad] would stand at the door and yell so loud that I had to cover my ears because all they did was ring. I could hardly make out a single word that was said and he was gone. A last minute attempt to beg him to stay after all was said and done never worked, not one time. After the first few times, his heart left with him and only his physical body ever returned. My father never came back, only a man with a similar appearance to him. I then set out on a search for the love that man once had to offer me. (Sarah) Sarah understands abandonment and her search for love she may never find. No one as a child can go through seeing their parents break up without it having a devastating effect. When Jesus hung on the cross, He cried out to His Heavenly Father, My God, My God, why have You forsaken Me? (Matthew 27:46) Jesus was crying from the depths of His soul to His father. 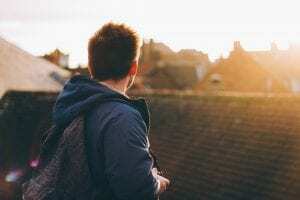 You could translate what Jesus said into My God, My God, why have You left Me behind?Not only was Christ dying, He was being abandoned by God as He slipped into death. One can only imagine how horrific that was for Him. As we have seen, being left behind can be terrifying to a young child. I was with my 7-month old grandchild a few weeks ago (we spend a lot of time together). We were outside and it was getting dark. She wandered off up the driveway. I just stood and watched her, keeping my eye on her every second. Suddenly she realized she was alone. She panicked, screamed, and ran back to me, wrapping her little arms about my leg. I picked her up, held her, and comforted her. She was happy again. Her grandpa had not abandoned her. But what about the millions of children who have been abandoned? What happens to them? Allow me to quote Pia Mellody in her great book Facing Love Addiction. She said, Love Addicts usually didn’t have enough appropriate bonding with their caregivers. Caring transmits the messages, ‘You’re important, you matter, and you are loved,’…when children do not get enough connection and nurture from a parent, they experience serious difficulty with self-esteem. Love Addicts usually experienced much deep pain and sadness and an acute sense of loss during childhood, because a part of themselves was denied the opportunity to grow properly when their caregivers failed to take care of them. This pain and sadness I call ‘the pain of the precious child.’ It goes very deep and back far beyond the earliest conscious memories. As children, Love Addicts experienced enormous fear because they were helpless to create a connection with their caregivers. In counseling they often describe that child-fear as a sense of having a loss of their own breath, as if their air supply had been cut off and they were literally dying. They also describe being empty because they weren’t filled with nurture by their caregivers. And because they weren’t nurtured for who they were, they had trouble being or liking their natural selves. Love Addicts usually didn’t have enough appropriate bonding with their caregivers. Does that sound like you? Confused, craving for love, and yet despising yourself at the same time. These thoughts and feelings are hard to get rid of from within us because we received them when we were so young and helpless. So how does a young child cope with these terrible feelings? I am going to quote Pia Mellody again because what I’m about to quote you blew my mind. One way such children may escape the pain of severe abandonment by the parents is to fantasize about being rescued by a hero of some kind.Little girls may imagine a knight and shining armor who has loving feelings for her and who does things that demonstrate this love by connecting with her, finally giving her life meaning and vitality. Children spend so much time in this fantasy world because it creates a state of euphoria. I spent hours as a child daydreaming about my knight in shining armor. If I felt bad I could play out this fantasy in my mind, get high in about ten minutes, and stay there for at least two or three hours. Please do not let this blog discourage you. In fact, it may have given you some relief since you are better able to understand yourself now. There is hope for a love addict, and that’s what I’m going to talk about next week. Tell all your friends about it, because no doubt, many of your friends are indeed love addicts. 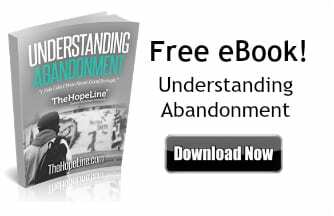 Also, download our eBook for more information on abandonment and how to cope with it! Great Post. I would like to thankful for this post for sharing views about love addiction and cleared some of my doubts. I was currently getting help from website http://www.fivesistersranch.com/ so would like to share it also here. So that anyone similar to me can get help as i am getting. Once again I am highly thankful.